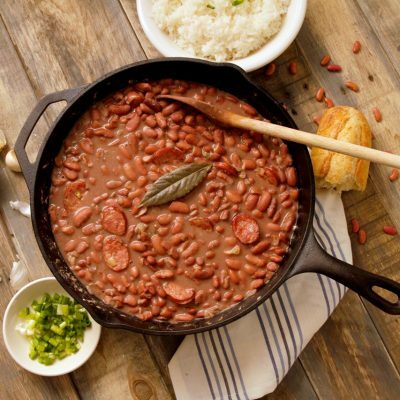 Soaking beans is a matter of personal preference and not absolutely necessary, but many people believe it lessens cooking time and makes beans easier to digest. It’s worth noting that lentils, split peas and blackeye peas do not need to be soaked because they’re softer legumes and cook much faster. If you do choose to soak your beans, there are different ways to do it. Before soaking, pour beans into a colander, rinse with clean water, and remove any dust or debris such as pebbles or imperfect beans. Then, pick your soaking method. In a stockpot, bring 10 cups water to a boil. 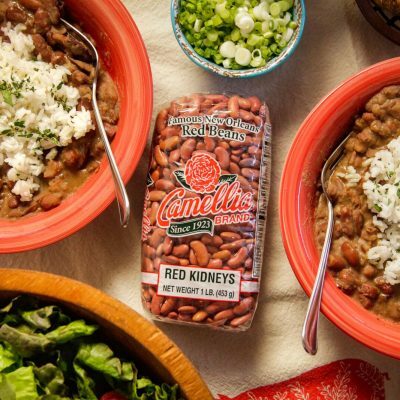 Add 1-pound Camellia Brand dry beans and return to a boil; let boil 2-3 minutes. Remove from heat, cover and set aside at room temperature for 1 hour. Drain and rinse beans, or continue and cook in soaking water. In a stockpot, bring 10 cups water to a boil. 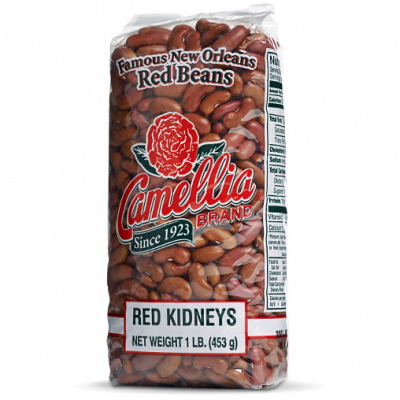 Add 1-pound Camellia Brand dry beans and return to a boil. Remove from heat, cover and set aside at room temperature for 2-3 hours. Drain and rinse beans, or continue and cook in soaking water. 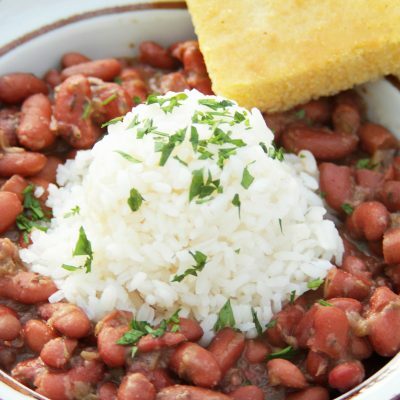 In a stockpot, cover 1-pound Camellia Brand dry beans with 10 cups water. Soak for 8 hours or overnight. Drain and rinse beans before cooking.